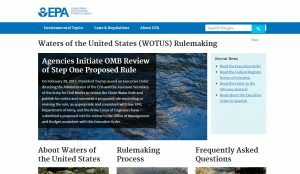 The Environmental Protection Agency has launched a web page to keep stakeholders up to date on the review process and potential changes to the agencies Waters of the U.S. rule. The web page, according to the EPA, will keep the public informed as the EPA reviews the definition of a “Waters of the U.S.” In February, President Donald Trump issued an executive order directing the EPA to review the rule and publish a proposed rule rescinding or revising the rule, including changes to what shall be considered a “navigable water” under the rule. Farm groups, including the American Farm Bureau Federation, have welcomed the review. AFBF says the rule, in its current form, grants regulatory control over virtually all waters. The EPA, along with the Army Corps of Engineers, sent a proposal for overturning the rule to the White House Office of Management and Budget earlier this month. 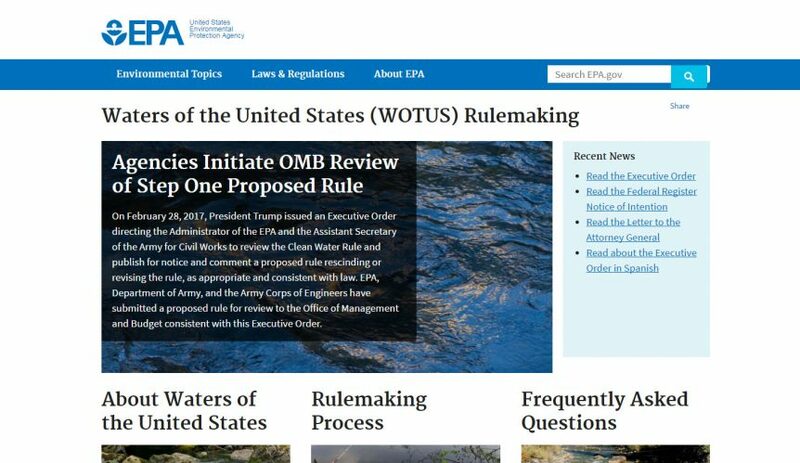 The new EPA web page is available at EPA dot gov slash WOTUS dash rule (https://www.epa.gov/wotus-rule).